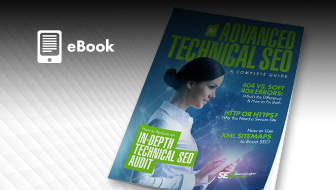 You signed up for AdWords, researched keywords with a high purchase intent, created ads, and even had the foresight to send users to landing pages instead of your home page. You know consumers are interested in your product, because it flies off the shelf in your physical location. However, when you look at your mobile campaign, you see users avoid making a purchase like Sal from Impractical Jokers avoids cats. You don’t understand why. Every day you check the data, hoping to understand what is going on with your mobile ads. You stare at the AdWords interface trying to figure out this puzzle until your eyes go blurry and it feels like your brain just completed the SAT test. If it does, it might just be a problem with how much consumer usage patterns have changed from even a couple of years ago. This change in consumer behavior on one hand is a big change, and at the same time it is micro. In the past, if a person had a question, their first instinct would be to ask another human or to consult a physical reference. For example if a person needed directions they would consult an atlas or roll down the window and ask, if they needed a recipe they may have asked a friend or read a cookbook, and if they wanted to know how to play a song on the guitar they would take guitar lessons or purchase a book of guitar tabs. This is because the internet was just beginning and there was significantly less access to it. As Google stated, in the past users were going online, now they are living online. The going online versus living online distinction is important because now people interact with the world much differently. Currently, people’s first reaction when they have a question is no longer to ask a person or consult a physical reference – their first reaction is to reach for their internet connected mobile devices for answers. Those directions they need: they reach for their mobile device and go on Google maps. That song they want to learn on the guitar: they reach for their mobile device and watch a video on how to play it on YouTube. Each one of these micro-moments calls for a very specific piece of information to answer a user’s very specific search query. The company with the ad that best matches the intent of that micro-moment wins the click. 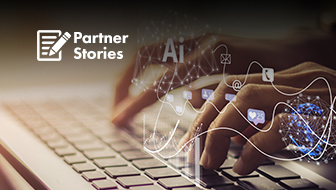 Advertisers who want to succeed in this mobile heavy, always-connected world need to capture users in these micro-moments. At each one of these micro-moments, users look for a specific piece of information. Google breaks it down into four types of micro-moments and below are examples of possible search queries as well as how to map your ad to the user’s search intent in that micro-moment. What it is: These are the moments where a person is looking for information on their mobile device. Example Micro-Moment Search Query: A user has just adopted a cute boxer puppy. She suddenly wonders “What kind of food should I get for this dog?”. Instead of asking a friend, she instinctively picks up her phone types in “best kind of food for a boxer?”. Mapping your ad to the micro-moment intent: An optimal ad that maps to the intent of this micro-moment demonstrates to the user that they will receive the information they are requesting once they click the ad. This can include product comparison charts, easy to read info on the landing page (which must be mobile friendly), and a click to call link for more information. 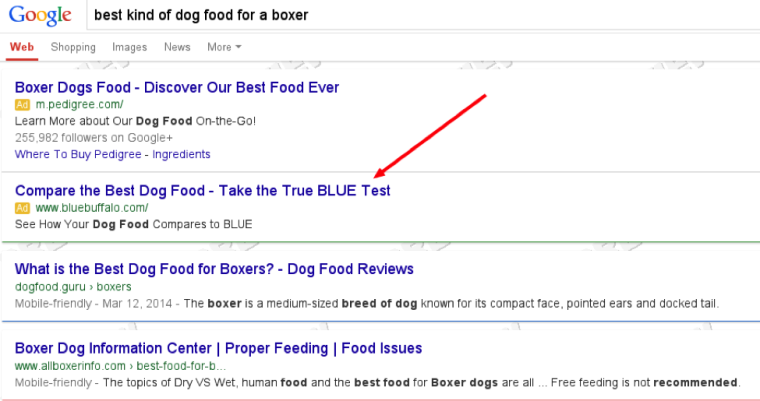 In the example below, the best ad that aligns for the “want to know” micro-moment offers a comparison for the user to find the best kind of dog food for a boxer. What it is: These are the micro-moments where a person is looking for a piece of information and the proximity matters. Example Micro-Moment Search Query: If someone in the San Francisco needs to fight their DUI they instinctively turn to the phone and type in “DUI Lawyer near me” . 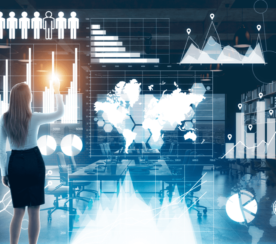 Mapping your ad to the micro-moment intent: An optimal ad to match the intent of this micro-moment shows the answer is local, and that it can be easily mapped out. Being as local as possible in your ads is the competitive advantage for this micro-moment. 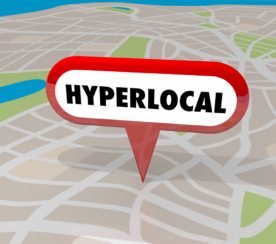 Getting local can be accomplished by utilizing location extensions (to activate location extensions connect your AdWords account to your Google places account), as well as including the location in the headline of the ad. 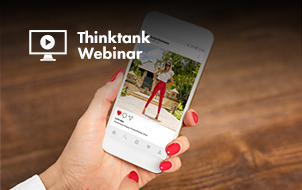 These two tactics reinforce how local your business is and demonstrates to the user that your ad is relevant to their “want to go” micro-moment. In the example below, you can see the optimal ad has the word “San Francisco” in the headline and also has a location extension enabled. What it is: In these micro-moments the mobile device acts as a personal shopper, or as an actual point of sale. 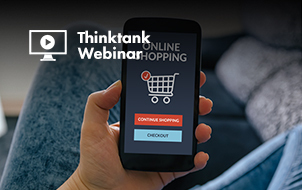 Users want to be able to research a purchase even within the store, or to be able to make the purchase directly from their mobile device. Example Search Query: A user is hungry and is on their way home from work on a subway – they want to get a pizza but it is too noisy to order. Instinctively they turn to their mobile device and type in “Domino’s pizza”. Mapping your ad to the micro-moment intent: An optimal ad that matches to the intent of this type of query may provide information about (accomplished using local inventory ads) and/or provide users a way to purchase straight from their cell phone. In the example below Domino’s provides an excellent example of aligning their ad with the micro-moment intent by stating that the user can order and track online. What it is: In these micro-moments the mobile device acts as a proxy for an expert. Users look for specific directions on how to perform a task. Many of these micro-moment searches begin with the phrase “how to”. Example Search Query: A user has just completed building a table for their living room. They now want to stain the wood but do not know how. Instead of consulting with a professional, they pull out their mobile device, go on YouTube and type in “how to apply wood stain”. Mapping your ad to the micro-moment intent: An optimal ad to match with the search intent of this query provides explicit step-by-step directions on how to accomplish the task the user is searching for. A great format to accomplish this is a video, but your ad could also take a user to a landing page with specific instructions. In the example below. Cabot Paint aligned with intent of the micro-moment and created a video which utilized YouTube advertising. 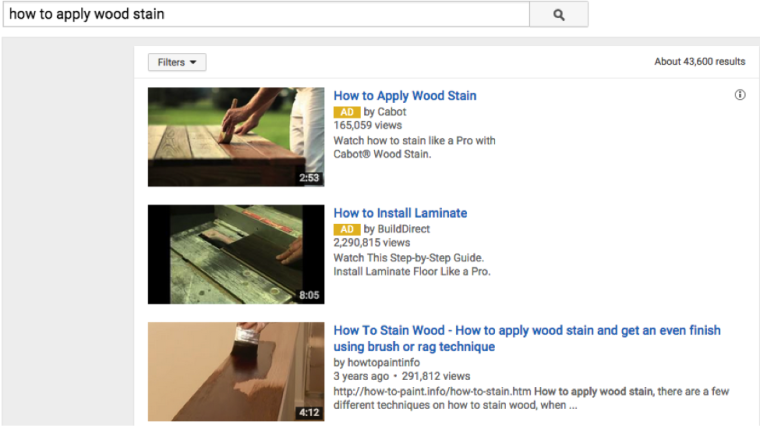 The video provides the steps to stain wood, and is informational rather than promotional. This positions Cabot Paint as experts, achieves a level of goodwill with the user, and introduces users to their wood stain product. Now, you know the four types of micro-moments as well as how to optimize for them. Take this information and use it to take your AdWords campaign to the next leve. 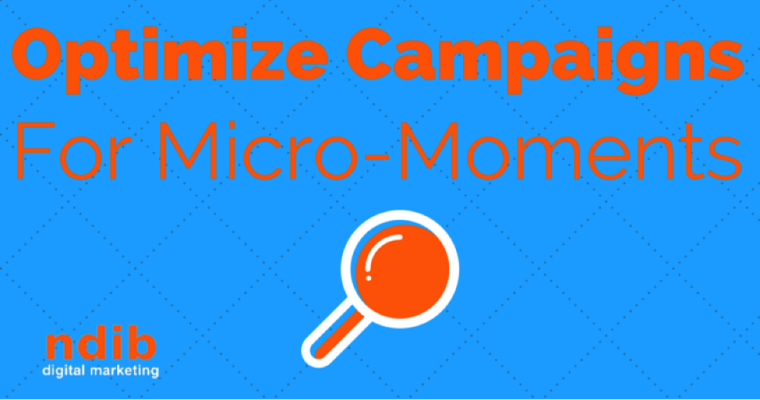 How have you been optimizing for micro-moments in your campaigns? Share your experiences in the comments section.